RIVERSIDE, Ill. (WLS) -- Riverside police say a Streator woman was arrested with three kids in her car after throwing a beer can onto Harlem Avenue in front of a marked squad car. Edith Hernandez, 37, of Streator, was arrested on DUI charges Sunday around 12:45 a.m. near 31st and Harlem. Police say Hernandez failed all field sobriety tests, and agreed to a breathalyzer test once she arrived at the police station, blowing a .096, above the .08 legal limit. 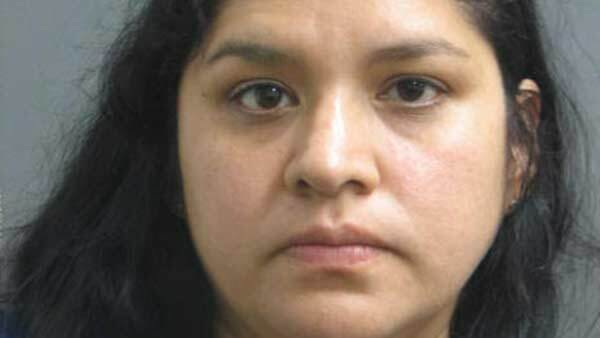 Police say Hernandez had three children, ages 17, 11 and 9, in the car with her after drinking during the day in Berwyn. Hernandez told police she was trying to get home to Streator, which is about a 90-mile drive from Berwyn, because her daughter was having stomach pains. Police called for paramedics, and the girl was taken to MacNeal Hospital in Berwyn. The children were placed in the care of relatives. Hernandez was charged with two counts of driving under the influence of alcohol, endangering the life of a child, unsafe opening of a door in traffic, littering on the roadway, and driving with no vehicle insurance.